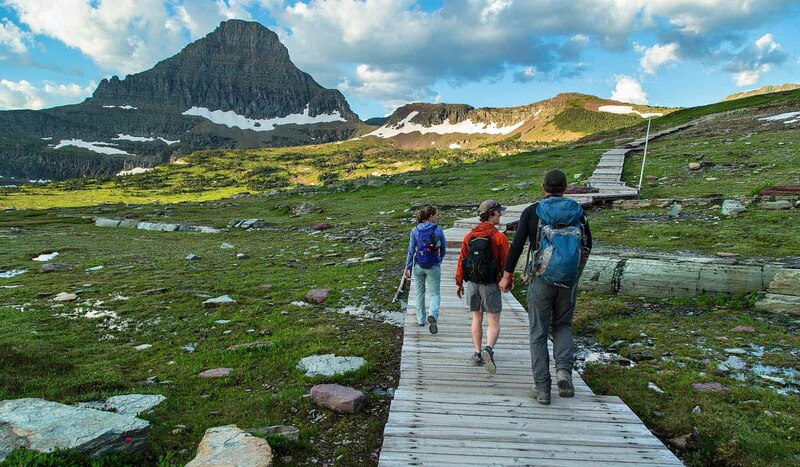 A must-do trip to drive across the Continental Divide on Going-to-the-Sun Road. This 55 mile road is the only one that bisects the park. 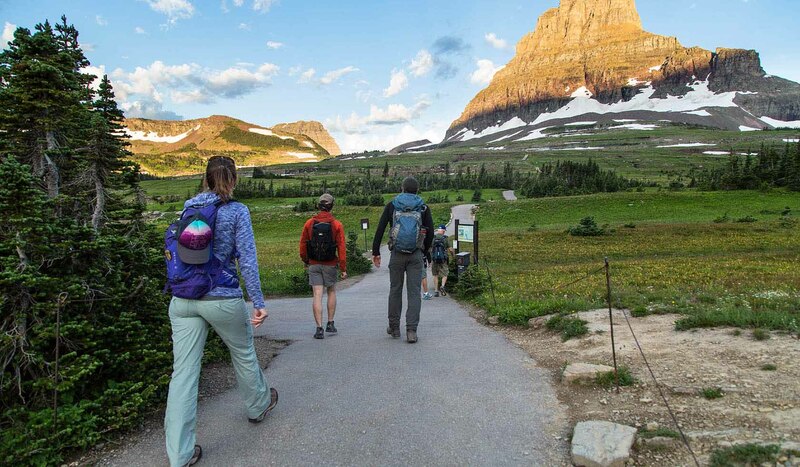 Start at either West Glacier or St. Mary and you'll soon be climbing thought the glacial peaks of Logan Pass, encountering abundant wildlife and some of the most beautiful scenery in the world. Logan Pass Visitor Information Center is at the summit at an elevation of 6,700 feet and straddles the Continental Divide. The Visitor Center is open mid-June to mid-September and features exhibits on alpine zone plants and animals. Rangers are on duty to answer questions and assist with trip planning. A nature trail to Hidden Lake Overlook begins behind the visitor's center, first as a boardwalk to protect the tundra from human footsteps, then continues as a gravel trail. Logan Pass Visitor Center is located at the summit of Going-to-the-Sun Road.